We evaluated the various types of power sanders available in the market compared the process of tools features, usages, life cycle and cost. Need power sanders for your woodworking projects? Don’t know which types are best to go? Confused between different types of power sanders? In this article, we will talk about the different types of power sanders and suggest few top recommendations for the users along with some basic discussion. Tools Adviser create this guide for all of you. We research and check many products based on cost, features, using process and so on. Then came up with a list of top recommended product to help you out all. Before buying anything you can read our buying guide to know more and find the suitable one for you. 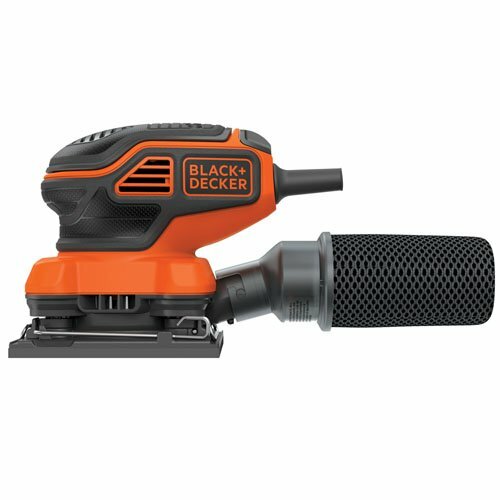 When people visualize a sander in their minds, most people see a belt sander. These sanders feature a design that has two wheels, which have a circular belt of sandpaper stretched around them. When turned on, the wheels spin at a very rapid pace, providing excellent power sanding capabilities. Belt sanders are the most powerful of all hand-held sanders and are perfect to use at the onset of a large woodworking project, when large amounts of material need to be removed. Use a belt sander when removing a large amount of paint or stain, or any time you prepare a work surface for a new finish. Be careful when you operate these machines, because they can remove a lot of layers very quickly, especially if you are working with softer woods. If this quick pace is a problem, you may want to consider a belt sander with variable speed settings, so that you can slow it down when necessary. Another type of sander is the narrow belt sander, which is like a belt sander, just with a narrower sanding surface. This can be a good option for smaller sanding projects. 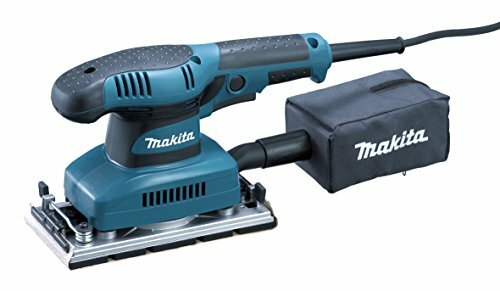 Makita Belt Sanders – Makita belt sanders come in a range of sizes. 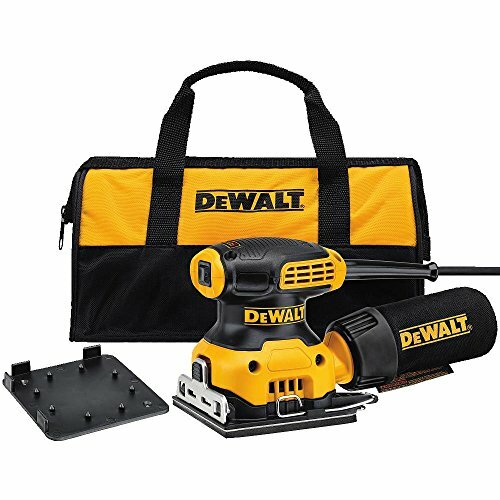 The 3/8′ belt sander is perfect for getting into small spaces, and the 3″-by-21″ belt sander is a favorite sanding tool on professional wood construction sites. The company makes more than a dozen different models of belt sander, with one designed specifically for just about any sanding task. To get the most from your belt sander, choose a model with a variable speed that can be locked, freeing your hands to hold the sander instead of operating the controls. Porter Cable Belt Sanders – One Porter Cable belt sander holds the distinctive title of the smallest belt sander on the market. While the belt is shorter than other models, the width of the belt is only slightly reduced, at 2-1/2-inches wide. Large or small, Porter Cable is one of the most common brands of belt sander used on job sites and in-home workshops. Grizzly Belt Sanders – There are many types of Grizzly belt sander. Some models are stand-alone flood models with wide, continuous belts, and other models combine the efficiency of a disc sander with the convenience of a belt sander in a single tabletop model. Any ways you look at it, Grizzly belt sanders are built to be workhorses, as is evidenced by models like the Grizzly 43″ wide belt sander. Ryobi Belt Sanders – The most common type of Ryobi belt sander is the 3″-by-18″-inch belt sander. 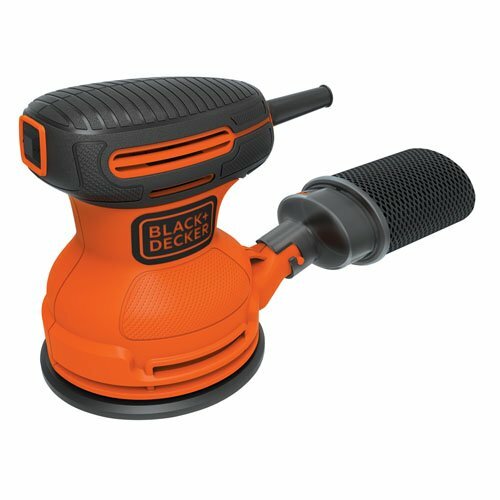 It features adjustable machine speeds, and a uniformly sized dust port that allows the use of the included dust catcher or connection of a vacuum system for more intense cleaning as you work. Palm sanders are known by several different names, including finish sanders and pad sanders. These machines are designed with a small rectangular sanding surface. Most of the time these pads can be fitted with a 1/4 inch or 1/3-inch sandpaper sheet. When you are operating a palm sander, you will notice that it vibrates in somewhat of a circular motion. To avoid scratching your work surface, you must move the sander in the same circular motion generated by the machine. When this is done correctly, these tools provide an excellent finish on flat surfaces. The palm sander is a hand-held version of the disc sander. A pad or disc of sandpaper is attached to the flat face of the sander, and the tool is then applied to the surface to be sanded. Among the more popular uses for palm sanders are sanding drywall and finishing the end cuts of lumber. The single largest drawback of palm sanders is that they are not well suited for sanding interior corners. Take a brief look at some of the most popular brands and models, and you will understand why these companies stand apart from the crowd. These sanders are the perfect complement to belt sanders. Use them after the belt sander does the rough work first. Porter Cable Palm Sanders – One of the most popular brands is the Porter Cable palm sander. One features a removable dust catcher and has the advantage of accepting a direct connect to a suction hose instead of using the dust bag. Professional users and novices alike are impressed by the ergonomic designs, encouraging more productivity with less effort. Bosch Palm Sanders – A favorite for both home and professional use, Bosch makes a wide range of sanders for many types of applications. Many Bosch palm sanders feature random and eccentric orbit rotation, allowing you to handle small jobs, but still have the sanding ability for tougher areas when you need it. Bosch uses through-the-pad dust removal and integrated paper filters on the dust canister. Skil Palm Sanders – Skil palm sanders come in many different varieties, including cordless models that can simplify tasks. Skil tools are popular with home enthusiasts because they deliver power and quality but are priced affordably. Many models feature micro-filtration of dust particles, and some have features such as pressure control technology to help you do the task right the first time. Detail sanders are the smallest of all power sanders. These machines are used for getting into the small spaces that other hand-held sanders simply cannot reach. These sanders come in many different designs, and most come as part of a kit with many different attachments. Typical attachments included in a kit will be a triangular sanding pad for sanding in corners, and some sort of attachment for sanding curved surfaces. When it is time to add the final details to your woodworking project, the detail sander is the perfect tool for the job. Orbital sanders are the most popular and most versatile of any hand-held power sander on the market today. 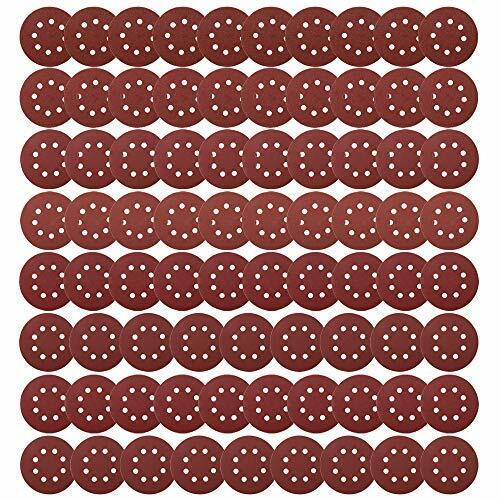 They work well for woodworking tasks of any size, and they can reach most small spaces with their circular sanding pad design. This circular pad moves in an orbital motion, with a small amount of randomization. This random variation in sanding prevents scratches, swirl marks and gouges while you sand, automatically protecting your project. Many of these machines also have variable speed settings, which is a big help when you are sanding soft wood, or your sandpaper is wearing down. Dial up as much or as little power as you need to tailor your sander to the task at hand. Most random orbital sanders now also feature on-board dust collection. 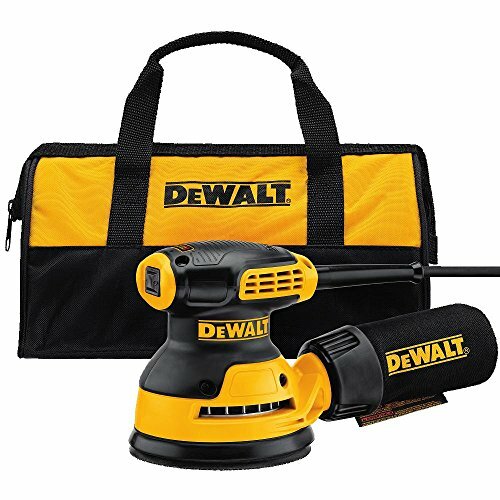 This often comes in the form of a dust bag or canister attached directly to the sander that collects sawdust. Holes in the sanding pad provide suction that transports the sawdust to the collection mechanism as it is created. Some of these machines will also feature a vacuum hose port, which can be used attach a sander to a shop-vac or other vacuum for even greater dust collection. To fully realize the dust collection benefits, you must buy sanding discs that have holes that align with the suction holes on the sanding pad. These are just some of the many great features of an orbital sander. If you are in the market for an all-purpose sanding machine to keep around the house, a random orbital sander is a perfect fit for you. There are so many different types of power sanders on the market today. Some are larger and more powerful, while others are designed for detail work in small spaces. No matter what kind of power sander you are using, there are several safety tips that should not be ignored. Follow these six easy steps to ensure your next woodworking project is a safe one. Every time you use a power sander, be sure to wear eye and ear protection. Ear plugs are usually good enough protection but investing in heavy duty noise canceling headphones is the best way to protect your ears. Many power sanders can be quite loud, especially when they first are turned on. For eye protection, safety goggles that also cover the sides of your eyes should be worn. Few things are more painful than sawdust trapped in your eye. Respiratory protection is also very important, and unfortunately is often overlooked. Disposable respirators can be purchased for a very cheap price, and a nicer respirator is worth the investment if you plan to sand for extended periods of time. This step is critical to your long-term lung health, as it keeps harmful dust particles from entering your body. Be aware of what you are wearing while you work. Avoid wearing anything that could get caught in the power sander, such as loose-fitting clothing or jewelry. If you have long hair, put it up in a ponytail, or better yet, tuck it under some sort of hat or head covering. Be sure to use your sander in an area that is properly ventilated. Use every type of dust collection and ventilation system available to you. Most of today’s power sanders will come with a port to attach a vacuum hose to, or an on-board dust collection canister or bag. When you are operating your sander, be sure not to apply too much pressure. Use the weight of the tool to apply pressure, and never add more than that. Forcing a sander can cause overheating, kickback, stalling or burning. Ignoring this safety step could get you seriously hurt. Use a vise, clamp, or some other mechanism to firmly secure the workpiece before using a power sander. This will keep you safe and keep your work surface from being damaged. Woodworking can be an excellent hobby. For some, it is an exciting profession. No matter what your level of involvement with woodworking and power sanders, your physical health and safety should always come first. Follow these six simple steps, and you will be woodworking for years to come. There are two main types of power sanders used in the workshop shed, the belt sander and the orbital sander. The belt sander uses a cloth backed sanding belt, usually of course grade, for rapidly removing stock. The orbital sanders have a backing pad that spins rapidly and is used in fine finishing work. This sander should be used with great care as it can easily dig into the surface, leaving deep scour marks. The most important feature to look for is efficient dust extraction, as large amount of dust is created. A dust collector bag is essential but a dust extractor unit in the workshop shed is even better. Different models of belt sanders use belts of different sizes and there are no common standard sizes, so it is a good idea to check to see if the belt size you need is widely available. Two speed or variable speed motor to suit different surfaces. Automated tracking control to keep the belt running smoothly. The orbital sander is more useful in the workshop shed than a belt sander for general use. The sanding action is less severe, and by using progressively finer grades of paper a fine finish can be achieved. Three common sizes of sanders are available: half sheet, one-third sheet and quarter sheet. These denote the size of sand paper that needs cutting from a standard sheet thus avoiding waste. Perforated base and sanding sheets that prevent dust from collecting under the sander. Quick release clips for changing sanding sheets. Variable speed for delicate work. This is a versatile tool combining two functions in one. Hold the sander lightly and the circular sanding disc spins in a circular motion for the rapid removal of rough surfaces. Apply more pressure and the action changes to a reciprocating orbital motion for finer finishing. This allow one handed operation and is not suitable for heavy work, but it is ideal for a light touch to produce a fine finish. The sanding base vibrates at a higher speed than a large orbital sander. It takes quarter sheet of standard sized sandpaper, and as with larger models, a dust collection pouch is available. When intricate modelling and restoration work is required in the workshop shed, a family of sanders with specially shaped sander pads are worth considering. Delta sanders have a triangular base ideal for reaching into the corners of panels. Self-adhesive sanding sheets can be changed quickly without clips but are more expensive. I am the creator of Tools Adviser and a woodworker by passion. Here we listed top different types of power sanders recommendation so that you can choose the one you need for your work. Read our guide and buy now.